Due to our used book inventory changing on a daily basis, we are not able to post / sell used books through our website. You are welcome to call us at 509-735-9016 to inquire if we have a used book in stock, and request the item to be held for up to 7 business days. After that time, the book will be returned to the sales floor. Not sure which book to buy an avid reader? 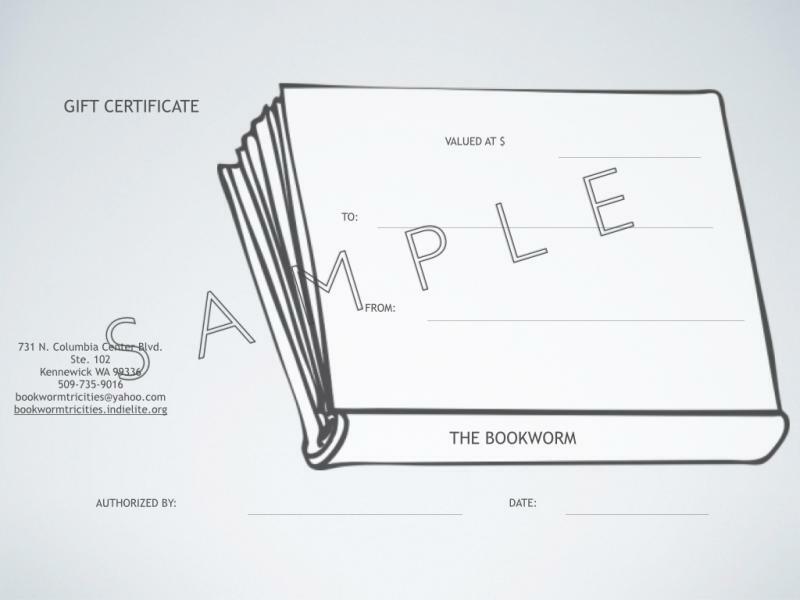 Consider a Bookworm Gift Certificate* and let them choose their own! *Gift certificates are only available for purchase in store or by phone 509-735-9016, not online. Please click on the following links if you are an author who is interested in receiving information about our consignment program, or participating in a book signing event.